Minds in Bloom is happy to introduce our readers to Jennie of A House Called Home with her inspiring post on helping struggling students. I have three daughters. They were each adopted out of foster care around the age of nine. They all had something in common: They hated to work. I heard the excuses as to why they couldn’t do it, and I heard the whining that told me they didn’t want to. They were professionals at getting out of work, especially in the classroom. Each one of them was academically behind their peers. They were serviced through various programs at school. As I worked with my girls at home, I began to think about how I deal with strugglers in my own classroom. I recognized many areas where I fell short, areas I allowed them to do very little work or sometimes no work at all. My girls at home made me a better teacher to those struggling in my classroom. Don’t get me wrong: Teaching 25 students at varying levels in one classroom is equivalent to trying to herd seventy cats through a car wash. We’re not going to hit every mark. Every kid is not going to meet every standard, but can every student show some sign of improvement? I think so.The first thing I learned in the journey to help my girls was this: Whoever is doing the work is doing the learning. As a teacher I have to make sure my struggling students are working. I have to fight the urge to make it easier for them by giving them answers or telling them what to write. Hard work is good for them. It’s good for us all. Don’t correct a student’s work until he’s explained his answer first. Cure the “I don’t know” students by always requiring an answer. You’ll learn a lot more about how he thinks or what he misunderstands once he tells you why he answered the way he did. Take the time to require an answer even if you have to ask him a hundred different questions to get him to answer at all. Carry around an extra copy of the worksheet. Stop writing for them. If you want the student to highlight or circle or underline, show him on your paper, letting him copy it onto his own. The simple act of circling or highlighting could help him remember it later on. Write down the directions or list tasks to be completed on the board. Struggling students are usually not the most attentive. If you orally give directions once at the beginning of class, chances are they will have no idea what they need to do. Put the directions either on the worksheet they are completing or on the board. Also, if you want students to complete more than one task, make a list. Keeping kids working is the goal, and they won’t work if they don’t know what they’re supposed to be doing. Teach your students not to stop when the going gets tough. When a student gets stuck on a question, teach them strategies to work it out, but also let them know it’s okay to move on and come back to that question at the end. Strugglers get easily bogged down and sometimes even look for a reason to stop working. Make sure you don’t give them one. Give chronic hand raisers a colored sticky note. When a student’s hand is raised, she is not working. Using a sticky note or some other symbol to indicate she needs help will let them move on when they get stuck. Also, number steps to problems (especially in math), and leave an example on the board if possible. Seeing a numbered example can be very helpful for a student who gets lost in the middle and can curb some of the hand raising. Regardless of what you teach, find a way to include some reading every day. Chances are high that our strugglers are not reading outside of school hours. We need to keep them reading during school hours. Ask higher level questions that make them think. Don’t concentrate on observation or recall; take them to the next level by having them make inferences and come up with solutions to problems. It’s better to ask five questions that make them think than twenty they can answer immediately. Ask those harder questions, and be prepared to give them the time they need to come up with an answer. If you find you have trouble keeping a student’s attention on the task at hand, then recognize that that same student will most likely not be an asset in his small group. If he doesn’t work for you, he won’t be working for them. Instead of giving several tasks or questions and then letting the group go for half an hour, maybe take it one task or question at a time, giving only a few minutes for them to work as a group and then bringing them back together to discuss before moving on to the next one. You are going to have to battle to get these strugglers to work. Make sure the task you are fighting for is worth it. Don’t drag them through anything that isn’t valuable. Most of these students have spent years hearing all the things they can’t do. Be the teacher that tells them what they can do. They can read and understand. They can figure out the problem. They can come up with a good answer. They can. Maybe their work won’t look like everybody else’s, but if they’ve done their best, then it’s more than good enough. I realize it’s easy to compile a list. The hard part is implementing it. You’re a teacher. You do 25 different things every four minutes while managing the behavior of a classroom full of students. Adding 10 more strategies to an already overloaded day is probably not something that can happen overnight. No problem. Pick one and try adding it in. Maybe you recognize that your strugglers are chronic hand-raisers, and they rarely accomplish anything because of the exorbitant amount of time they spend with their hand in the air. Give them a sticky note this week. Next week maybe you can give listing tasks on the board a try. Helping my girls move from unmotivated strugglers to independent learners has been one of the highlights of our journey. They can do more than they ever thought possible. 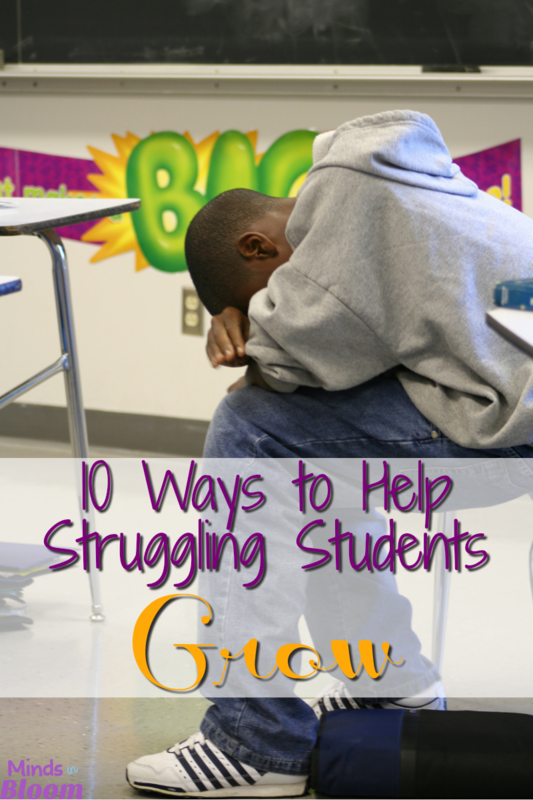 Our classroom strugglers can, too. Let’s help them get there. Jennie is a mom to three and a middle school science teacher. She is a passionate advocate for all things adoption and all things educational. After working with students stuck in hard places, she saw a need she could fill. 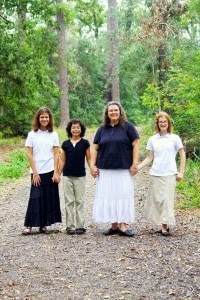 In 2006 her oldest daughter, Hannah, joined her on this amazing journey called life. In 2008 she welcomed Ashley, and in 2011 Amy rounded out their family of four. They laugh together, cry together, and, most importantly, share ordinary everyday moments together. They wouldn’t have it any other way. Find Jennie on her blog, A House Called Home, and at her TpT Store. The sticky note idea for chronic hand raisers is a great idea! It can be very effective! Thank you for sharing all of these ideas! These are great tips to keep in mind. Thanks for sharing! Hey Jennie, great points to help struggling students. Sometimes, just doing the basics right and keeping them reading really makes the difference. Sometimes, I think kids have become too reliant on siri for android or whatever the nearest device offers.